It's hard to know just how many kids have been in the middle of a parent's infidelity because we don't know how many people are cheating; estimates are from around 25 percent to as high as 70 percent. The indie music world was shocked when Sonic Youth's co-founders Kim Gordon and Thurston Moore announced they were separating in 2011 after 27 years of marriage. Gordon, 61, has just published a memoir, Girl in a Band, that tells that story, among others, but she spoke honestly about the reasons her marriage fell apart two years ago, calling it the "most conventional story ever." Moore had an affair, which she discovered after seeing a text message. Counseling didn't help, in part because he continued to see his affair partner. While both Gordon and Moore have their stories to tell about their marriage and infidelity, there is one voice that remains silent -- their daughter Coco's. She was 17 when they split, still a minor but old enough to be way past the age of idolizing her parents and in the throes of her own sexual awakenings. And that's fairly typical. Who asks kids what they think about their parent's infidelity? Regardless, they clearly are impacted, evidenced by Arnold Schwarzenegger and Maria Shriver's son, Patrick, changing his surname to Shriver on Twitter shortly after Schwarzenegger's affair went public; he was 17 at the time, the same age Coco was. It isn't always horrible. Eve Pell, who chronicles late-in-life marriages, including her own, in Love, Again: The Wisdom of Unexpected Romance, ended up living with the man who effectively destroyed her known family life when her socialite mother cheated on her father, ran off with a lover, married him and had a custody battle that was sordidly played out in New York newspapers -- a situation that could be one of the worst-case scenarios. Except, it wasn't; Eve says she loved her stepfather much more than her dad. But that often isn't the case. A middle-aged friend never quite forgave her mother for having an affair and then forcing her to live as a family with her mom's lover. And she believes it screwed her up for a long time when it came to her own romantic relationships. It's hard to know just how many kids have been in the middle of a parent's infidelity because we don't know how many people are cheating; estimates are from around 25 percent to as high as 70 percent. And, it's hard to know how many cheating spouses move their kids into new digs with their lover, whether they marry him or her or not. Given who tends to get physical custody, that would most likely be the moms; women seek divorce much more than men do, and fewer women don't have custody (2.4 million out of 8.6 million single moms, but that's approaching the number of single dads, 2.6 million). Still, there are about one million kids who experience parental divorce each year, and infidelity likely played a part in many of those splits; it's among the top factors for divorce. So it's no surprise that after the initial shock, anger, anxiety and shame, many kids, like my friend, might have problems with trust and honesty. "I'm not saying that everyone does it, but 55 percent of adult children that came from families where one parent was unfaithful ended up being cheaters themselves," says clinical psychologist Ana Nogales, author of Parents Who Cheat: How Children and Adults are Affected When Their Parents Are Unfaithful. Her research indicates 75 percent felt betrayed by their cheating parent, 80 percent said it affected their attitude toward love and relationships, and 70 percent said they believe it impacted their ability to trust others. But there are a number of factors to consider -- when the kids find out, how old the kids are, whether it's one isolated incident or a history of sexual shenanigans, whether it leads to divorce, whether the cheating parent moves in with the lover, whether the child becomes a confidant, how their parents handle themselves after, whether the child discovers the infidelity accidentally (like after DNA testing that indicate the man they believe is their father isn't, which occurs a small percentage of the time but enough to make you think, hmm). The list goes on and on. There just isn't enough long-term data to make generalizations on how a parent's transgressions impact a child as he or she enters adulthood. 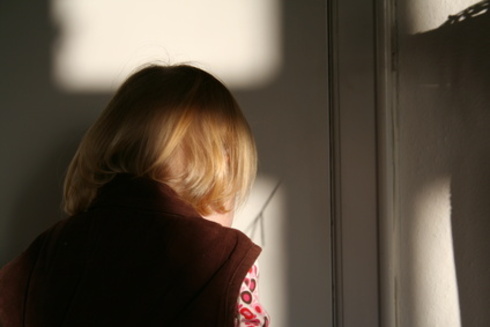 But, there are patterns, just as we see in children whose parents are addicts or abusive. "It's not just a behavior, it's a whole dynamic of relationships," says Azmaira Maker, a family therapy psychologist. The unfaithful spouse is mistaken to believe the pain inflicted by the affair happens at the moment the child is told. No, the harm done to the child occurs at the moment that that partner elected to go outside the marriage for an emotional or physical relationship. When an affair happens, it cheats the spouse and the family of the love and commitment of a partner and parent. Telling the child may put an ugly name on why a parent has pulled away from the family, but it is, ultimately, naming a truth. And if there is one thing that affairs teach us, it is how devastating lies can be. With that in mind, Haltzman doesn't agree that children should always be told about a parent's infidelity (which makes the argument that all infidelity is abuse hard to justify; most of us would agree that children should immediately be removed from an abusive home). Few of us have had a perfect, idyllic childhood; most are on a spectrum from pretty great to pretty horrible. A parent's infidelity is just one of the many things life can toss at us. What's your infidelity story? Vicki Larson is the co-author of The New I Do: Reshaping Marriage for Skeptics, Realists and Rebels (Seal Press). Order the book on Amazon, follow us on Twitter and like us on Facebook. Download an eBook for $1.99 through March 15, 2015. Details here. A version of this article appeared on Vicki Larson's blog, OMG Chronicles.